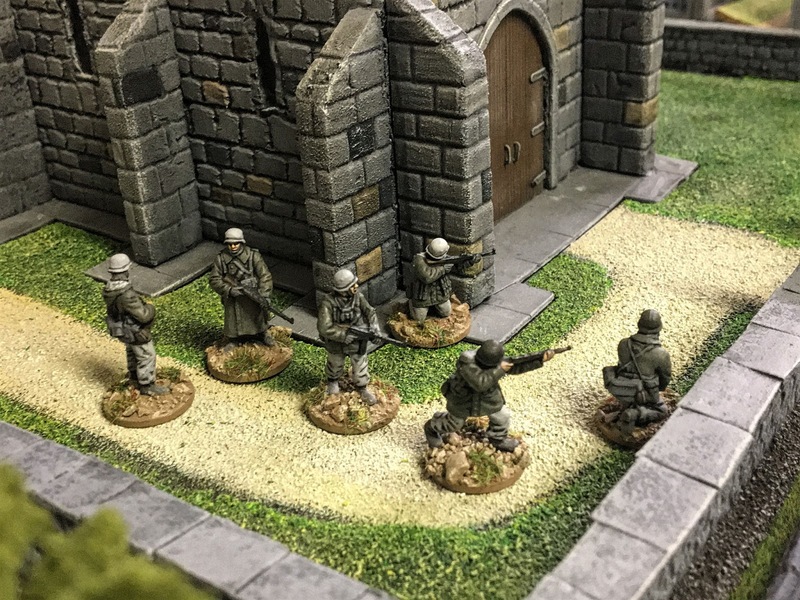 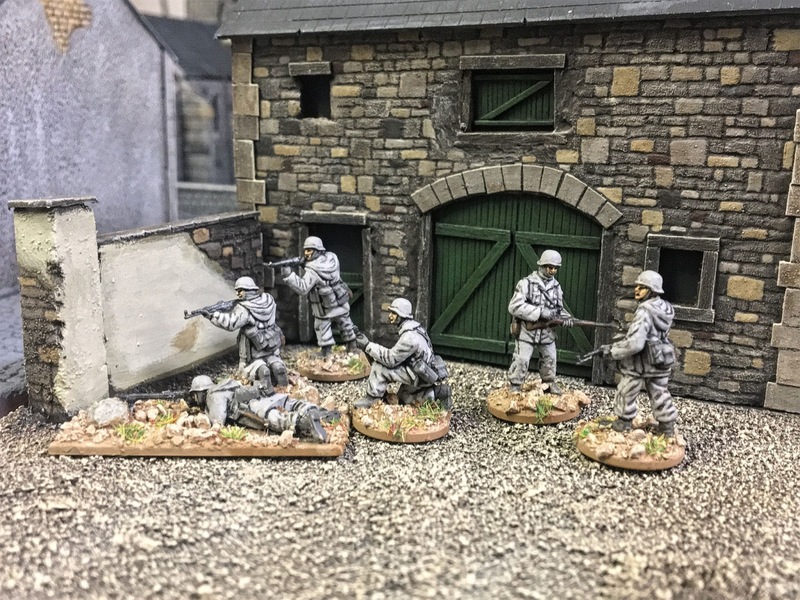 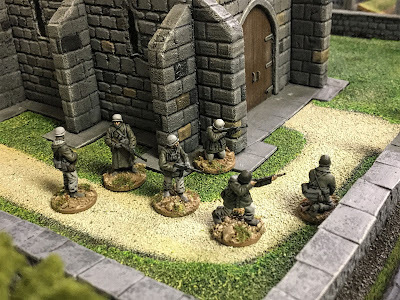 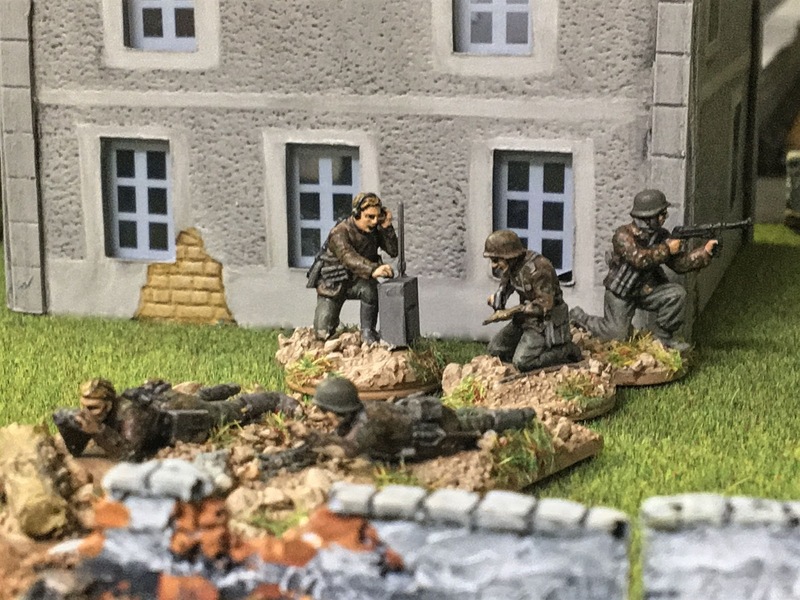 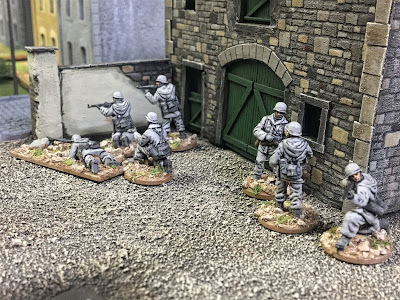 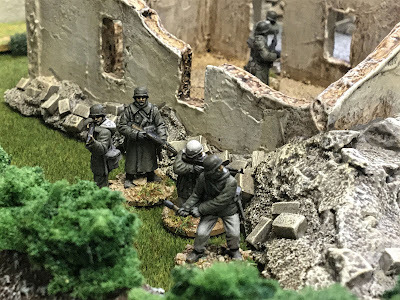 In January, I finished to paint other German miniatures of the Ww2. It was the first time I painted winter uniforms and, generally, I don’t like to use light colors (the white in particular) because I think that it is hard to give the correct shade. 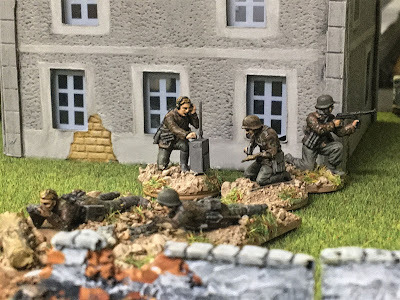 As usual I sought original photos to use to reproduce the correct effect, so below I posted some of these photos inserting them between my miniatures. 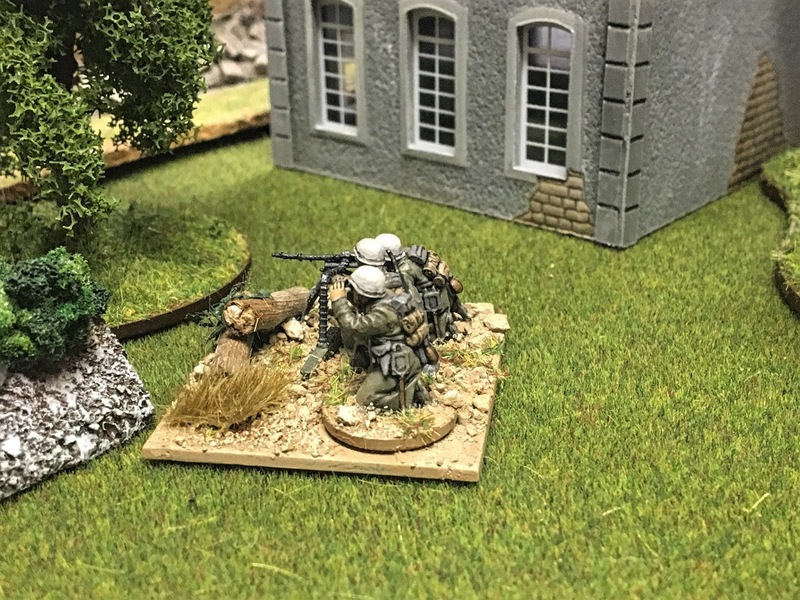 All miniatures arrive from various Italeri boxes but there are aso some Zvezda miniatures. 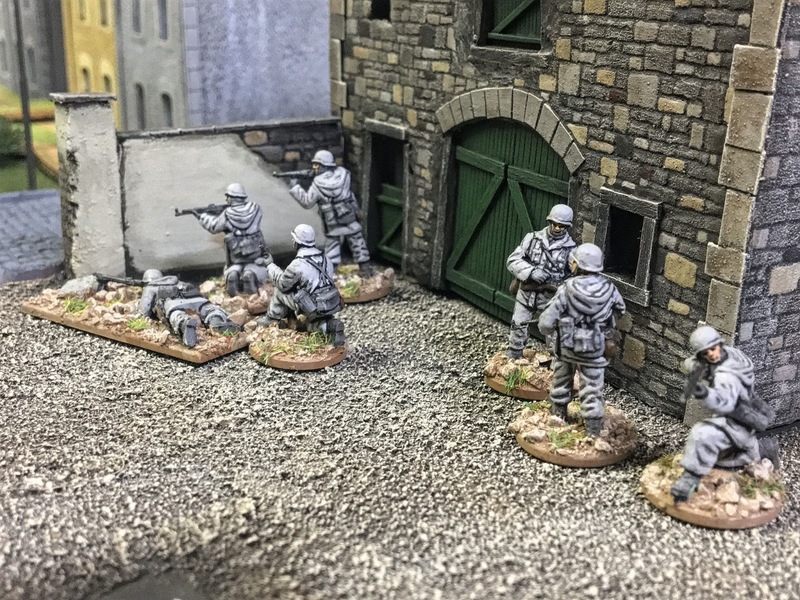 The scale is 20mm for all. 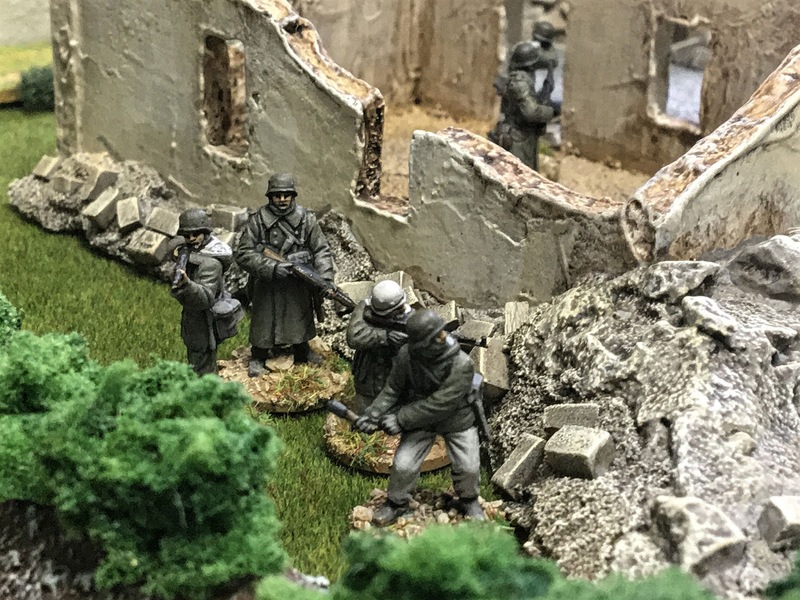 A part of my miniatures (as well as the command group) wore camouflage uniforms. 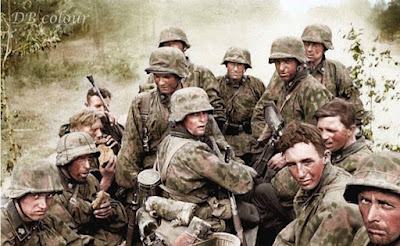 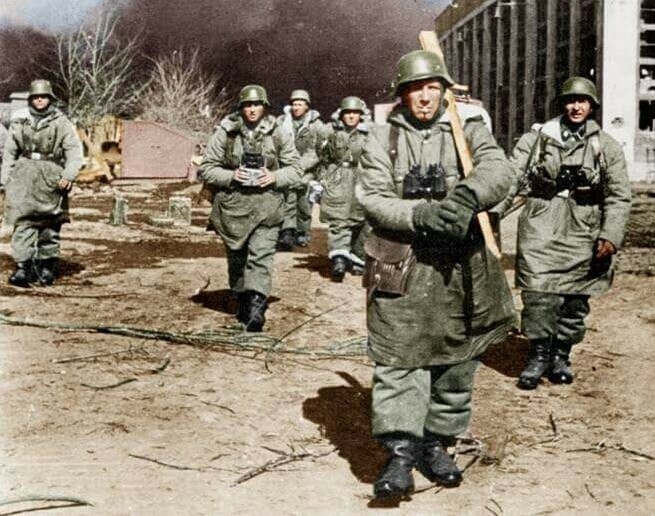 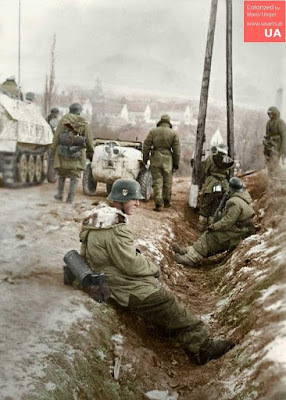 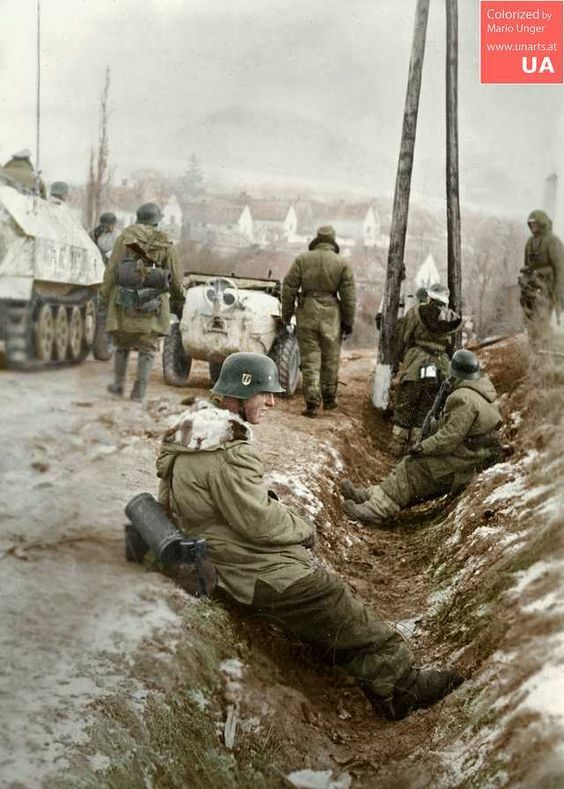 The camouflage pattern is the "Oak leaf" (1943) as the as the one used by these men of 3 SS Panzer division Totenkopf during operation Barbarossa in July 1941. 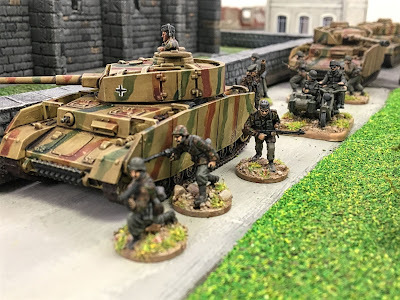 I want point out that tanks in the photos are not painted by me but by one of my club mates (Alberto F.). 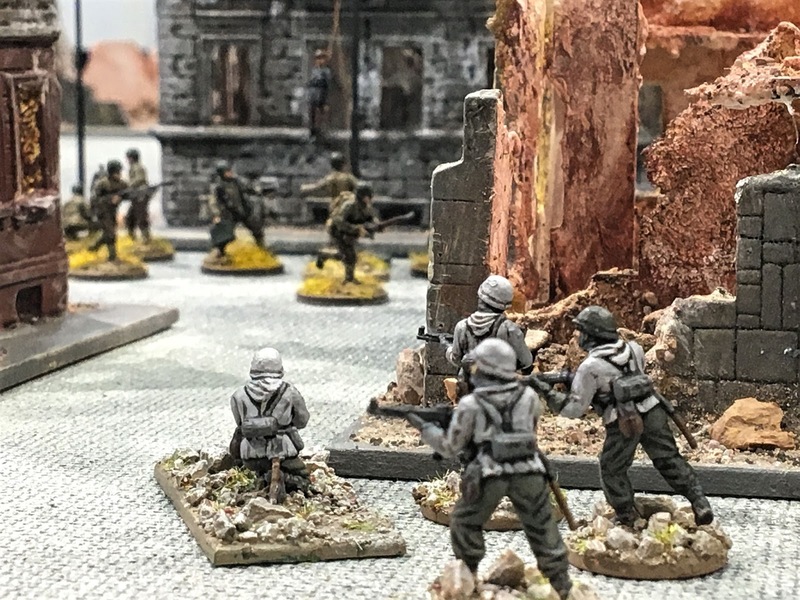 Excellent looking miniatures and scenery as always! 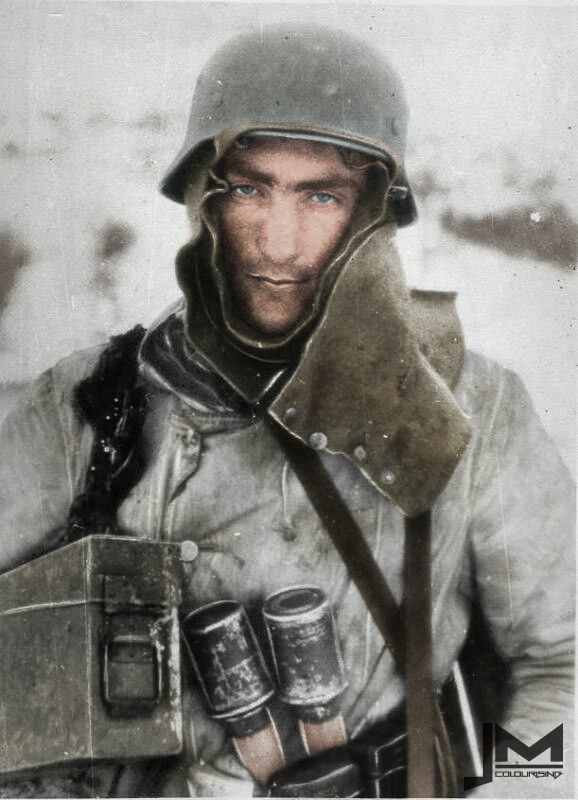 I love your real photos inspiration!